“Lavender and Poppies”, delivered to your door. Having grown up near provincial South of France, I was always attracted to the old stone buildings so typical of the region. 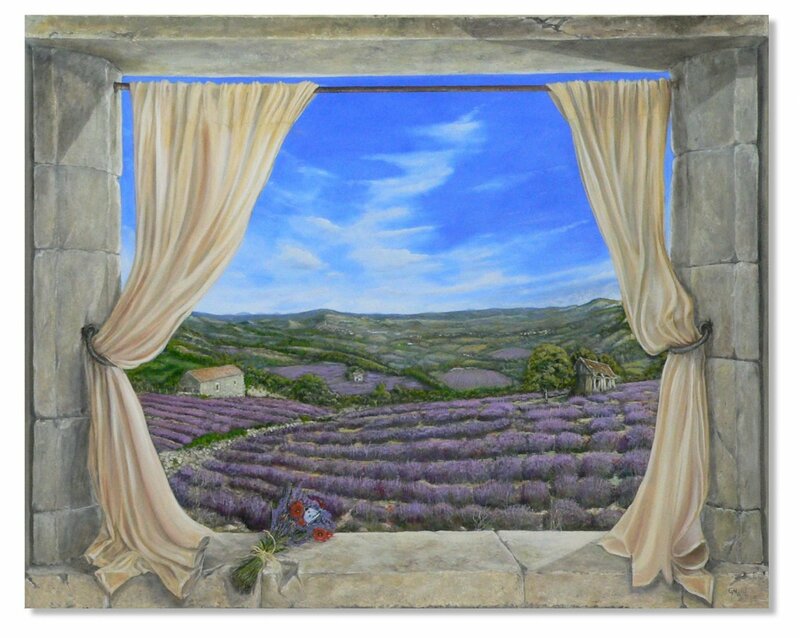 This painting is a very large “trompe l’oeil” depicting fields of lavender and poppies stretching into the distance, as seen through the window of an ancient stone building in this very region. The painting is naturally framed by the stone window. One can almost smell the fragrant lavender, as a light breeze ruffles the window curtain.